You’ve probably heard about the Broadway musical, Hamilton, by now. If you haven’t, I’ll be happy to tell you all about it! Today, its creator and leading man, Lin-Manuel Miranda announced he will be officially stepping down from portraying Alexander Hamilton on July 9th. That’s right, my fellow Hamilton Trash, fresh off their eleven Tony wins, Lin will be taking a break from his role as the charismatic, brilliant, smart-mouthed Alexander Hamilton. 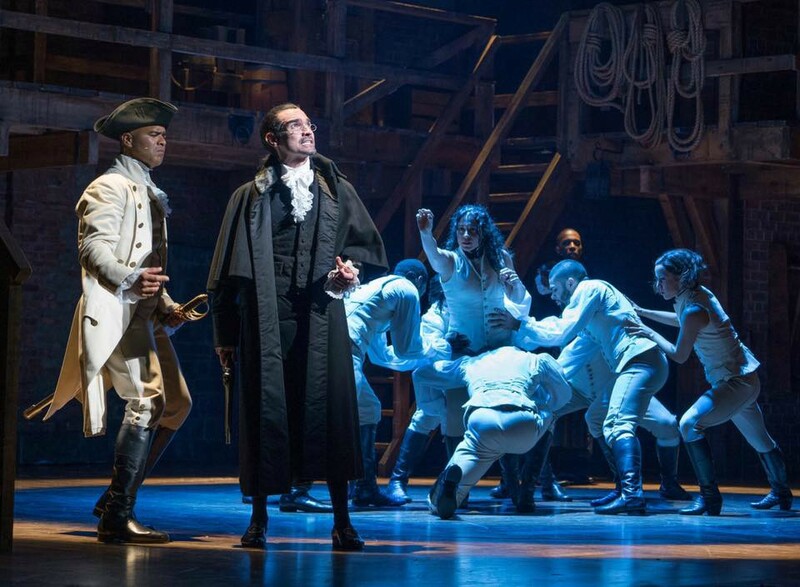 His last (official) performance as the founding father will be on July 9th at the Richard Rodgers theater in New York City. 5) I’m the next in that line, kids. I’m a be playing Hamilton for the rest of my life. Til I need help jumping on the desk. For real. Probably the most fantastic news of the day has been the announcement from Lin in his series of tweets that Hamilton will be filmed two times between now and July 9th when he and Phillipa Soo (Eliza Schuyler Hamilton) depart from the show. We will be getting a filmed version of Hamilton with the original cast! I can’t properly express my feelings at this moment! I live in Texas. My chances of seeing Hamilton with the original cast are nonexistent. *Jefferson voice* I couldn’t get Hamilton tickets if I tried…and I tried. I’m so excited to see what the future holds for Mr. Miranda, who was awarded this year’s Pulitzer Prize in Drama for Hamilton. We know for sure he’ll be starring opposite Emily Blunt in the Mary Poppins sequel and is currently writing music for Disney’s upcoming princess movie Moana starring Dwayne “The Rock” Johnson. For your viewing pleasure, here is both Lin’s acceptance speech at the Tony’s and the cast of Hamilton performing, History Has Its Eyes On You and Yorktown (The World Turned Upside Down).